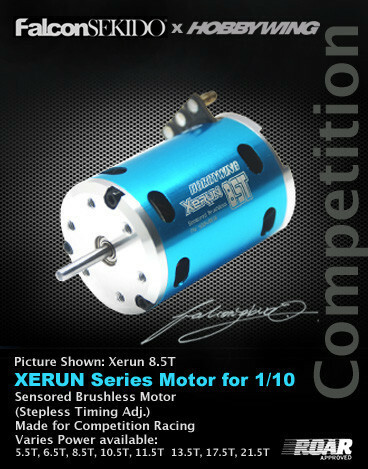 There are two types for Sensored Brushless Motor for 1/10 & 1/12. Each of the sensored motor is provided with a sensor wire as its accessory. 3.5 The sensor port of 8.5T to 21.5T motors is parallel to the end bell, easy for installation, more suitable for smaller chassis with limited space.